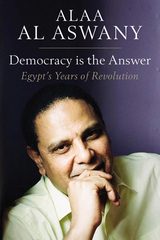 As the Egyptian revolution unfolded throughout 2011 and the ensuing years, no one was better positioned to comment on it—and try to push it in productive directions—than best-selling novelist and political commentator Alaa Al-Aswany. For years a leading critic of the Mubarak regime, Al-Aswany used his weekly newspaper column for Al-Masry Al-Youm to propound the revolution’s ideals and to confront the increasingly troubled politics of its aftermath. 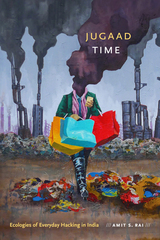 This book presents, for the first time in English, all of Al-Aswany’s columns from the period, a comprehensive account of the turmoil of the post-revolutionary years, and a portrait of a country and a people in flux. Each column is presented along with a context-setting introduction, as well as notes and a glossary, all designed to give non-Egyptian readers the background they need to understand the events and figures that Al-Aswany chronicles. The result is a definitive portrait of Egypt today—how it got here, and where it might be headed. The reign of the last Shah of Iran, Mohammad Reza Pahlavi (1941–79), marked the high point of Iran’s global interconnectedness. Never before had Iranians felt the impact of global political, social, economic, and cultural forces so intimately in their national and daily lives, nor had Iranian actors played such an important global role – on battlefields, barricades, and in board rooms far beyond Iran’s borders. Iranian intellectuals, technocrats, politicians, workers, artists, and students alike were influenced by the global ideas, movements, markets, and conflicts that they also helped to shape. From the launch of the Shah’s White Revolution in 1963 to his overthrow in the popular revolution of 1978–79, Iran saw the longest period of sustained economic growth that the country had ever experienced. An entire generation took its cue from the shift from oil consumption to oil production to dream of, and aspire to, a modernized Iran, and the history of Iran in this period has tended to be presented as a prologue to the revolution. Those histories usually locate the political, social, and cultural origins of the revolution firmly within a national context, into which global actors intruded as Iranian actors retreated. While engaging with that national narrative, this volume is concerned with Iran’s place in the global history of the 1960s and ’70s. 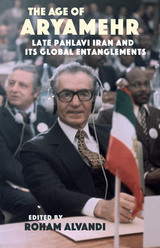 It examines and highlights the transnational threads that connected Pahlavi Iran to the world, from global traffic in modern art and narcotics to the embrace of American social science by Iranian technocrats and the encounter of European intellectuals with the Iranian Revolution. In doing so, this book seeks to fully incorporate Pahlavi Iran into the global history of the 1960s and ’70s, when Iran mattered far beyond its borders. 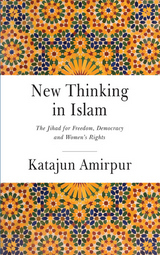 In Rethinking Islam, Katajun Amirpur argues that the West’s impression of Islam as a backward-looking faith, resistant to post-Enlightenment thinking, is misleading and—due to its effects on political discourse—damaging. Introducing readers to key thinkers and activists—such as Abu Zaid, a free-thinking Egyptian Qur’an scholar; Abdolkarim Soroush, an academic and former member of Khomeini’s Cultural Revolution Committee; and Amina Wadud, an American feminist who was the first woman to lead the faithful in Friday Prayer—Amirpur reveals a powerful yet lesser-known tradition of inquiry and dissent within Islam, one that is committed to democracy and human rights. By examining these and many other similar figures’ ideas, she reveals the many ways they reject fundamentalist assertions and instead call for a diversity of opinion, greater freedom, and equality of the sexes. The surprise election of Hasan Rouhani in 2013 has refocused attention on the dynamics between Islam and democracy in Iran after the hiatus of the Ahmadinejad presidency. 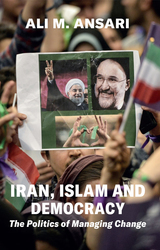 With comparisons being drawn between Rouhani and his predecessor, the late Reformist President Mohammad Khatami, there has never been a better time for a close look at the rise and fall of the Reform movement in Iran, situating it within the context of the “politics of managing change.” This revised and updated edition incorporates recent work on the presidential election crisis of 2009, along with the election of Rouhani in 2013, and an additional essay on the idea of reformism in Iran in historical context. The study remains then most comprehensive account of the politics of reform and, in situating the Rouhani presidency within that context, it shines a clear light on the pressures and pitfalls Iran faces in politics and international relations. 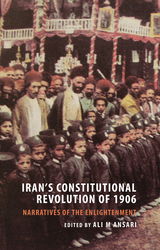 The Constitutional Revolution of 1906 opened the way for enormous change in Persia, heralding the modern era and creating a model for later political and cultural movements in the region. Broad in its scope, this multidisciplinary volume brings together essays from leading scholars in Iranian Studies to explore the significance of this revolution, its origins, and the people who made it happen. As the authors show, this period was one of unprecedented debate within Iran’s burgeoning press. Many different groups fought to shape the course of the Revolution, which opened up seemingly boundless possibilities for the country’s future and affected nearly every segment of its society. Exploring themes such as the role of women, the use of photography, and the uniqueness of the Revolution as an Iranian experience, the authors tell a story of immense transition, as the old order of the Shah subsided and was replaced by new institutions, new forms of expression, and a new social and political order. Set against the backdrop of Iran’s struggle against the rising powers of Russia and Britain, the memoirs of Mirza Riza Khan Arfa’-ed-Dowleh—otherwise known as Prince Arfa (1853–1902)—are packed with picaresque adventures as the prince tells the story of his rise from humble provincial beginnings to the heights of the Iranian state. With this translation, his incredible story is brought to life for the first time in English. Prince Arfa writes with arresting wit about the deadly intrigues of the Qajar court. Lamentingly, but resolutely, he chronicles the decline of Iran from a once great empire to an almost bankrupt, lawless state, in which social unrest is channelled and exploited by the clergy. 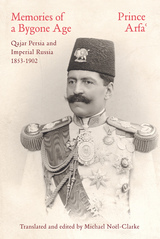 He describes the complex interactions between Iran and Europe, including an account of Naser-od-Din Shah’s profligate visits to Britain and France; the splendor and eccentricities of the doomed Tsar Nicholas II’s court; the Tsar’s omen-laden coronation; and his own favor with the Tsarina, who would grant him concessions on matters of vital importance to his country. The result is a memoir of extraordinary political intrigue. 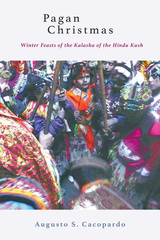 This authoritative work sheds light on the religious world of the Kalasha people of the Birir valley in the Chitral district of Pakistan, focusing on their winter feasts, which culminate every year in a great winter solstice festival. The Kalasha are not only the last example of a pre-Islamic culture in the Hindu Kush and Karakorum mountains but also practice the last observable example anywhere in the world of an archaic Indo-European religion. In this book, Augusto S. Cacopardo takes readers inside the world of the Kalasha people. Cacopardo outlines the history and culture of this ancient but still extant people. Exploring an array of relevant literature, he enriches our understanding of their practices and beliefs through illuminating comparisons with both the Indian religious world and the religious folklore of Europe. Bringing together several disciplinary approaches and drawing on extensive ethnographic fieldwork, this book offers the first extended study of this little-known but fascinating Kalasha community. It will take its place as a standard international reference source on the anthropology, ethnography, and history of religions in Pakistan and Central South Asia. 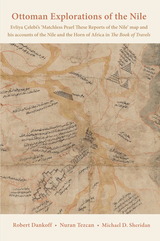 Before the time of Napoleon, the most ambitious effort to explore and map the Nile was undertaken by the Ottomans, as attested by two monumental documents: an elaborate map, with 475 rubrics, and a lengthy travel account. Both were achieved at about the same time—c. 1685—and both by the same man. Evliya Çelebi’s account of his Nile journeys, in the tenth volume of his Book of Travels (Seyahatname), has been known to the scholarly world since 1938, when that volume was first published. The map, held in the Vatican Library, has been studied since at least 1949. Numerous new critical editions of both the map and the text have been published over the years, each expounding upon the last in an attempt to reach a definitive version. The Ottoman Explorations of the Nile provides a more accurate translation of the original travel account. Furthermore, the maps themselves are reproduced in greater detail and vivid color, and there are more cross-references to the text than in any previous edition. This volume gives equal weight and attention to the two parts that make up this extraordinary historical document, allowing readers to study the map or the text independently, while also using each to elucidate and accentuate the details of the other. Think of a map of World War I and chances are that map will be of Europe—but the First World War had just as heavy an impact on the Middle East, shaping the region into what we know it as today. This book gathers together leading scholars in the field to examine this impact, which is crucial to understanding the region’s current problems and the rise of groups like the Islamic State. 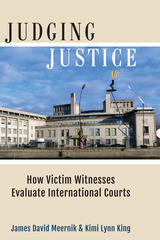 In addition to recounting the crucial international politics that drew fierce lines in the sands of the Middle East—a story of intrigue between the British, Russians, Ottomans, North Africans, Americans, and others—the contributors engage topics ranging from the war’s effects on women, the experience of the Kurds, sectarianism, the evolution of Islamism, and the importance of prominent intellectuals like Ziya Gökalp and Michel ‘Aflaq. They examine the dissolution of the Ottoman empire, the exploitation of notions of Islamic unity and pan-Arabism, the influences of Woodrow Wilson and American ideals on Middle East leaders, and likewise the influence of Vladimir Lenin’s vision of a communist utopia. Altogether, they tell a story of promises made and promises broken, of the struggle between self-determination and international recognition, of centuries-old empires laying in ruin, and of the political poker of the twentieth century that carved up the region, separating communities into the artificial states we know today. A century ago, as World War I got underway, the Middle East was dominated, as it had been for centuries, by the Ottoman Empire. But by 1923, its political shape had changed beyond recognition, as the collapse of the Ottoman Empire and the insistent claims of Arab and Turkish nationalism and Zionism led to a redrawing of borders and shuffling of alliances—a transformation whose consequences are still felt today. 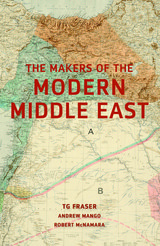 This fully revised and updated second edition of Making the Modern Middle East traces those changes and the ensuing history of the region through the rest of the twentieth century and on to the present. 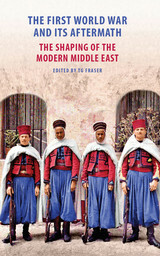 Focusing in particular on three leaders—Emir Feisal, Mustafa Kemal, and Chaim Weizmann—the book offers a clear, authoritative account of the region seen from a transnational perspective, one that enables readers to understand its complex history and the way it affects present-day events. The images released by the Islamic State of militants smashing statues at ancient sites were a horrifying aspect of their advance across Northern Iraq and Syria during 2015-16. Their leaders justified this iconoclasm by arguing that such actions were divinely decreed in Islam, a notion that has remained fixed in the public consciousness. The Image Debate is a collection of thirteen essays which examine the controversy surrounding the use of images in Islamic and other religious cultures and seek to redress some of the misunderstandings that have arisen. 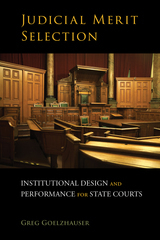 Written by leading academics from the United States, Australia, Turkey, Israel and the United Kingdom, the book has a foreword by Stefano Carboni, Director of the Art Gallery of Western Australia, followed by an introduction by the editor Christiane Gruber, who sets the subject in context with a detailed examination of the debates over idols and the production of figural images in Islamic traditions. Twelve further articles are divided into three sections: the first deals with pre-modern Islam: Mika Natif looks at tensions between the Hadith prohibition on images and the praxis of image-making under the Umayyad dynasty and argues that the Umayyad rulers used imagery to establish their political and religious authority; Finbarr Barry Flood examines the practice of epigraphic erasure, i.e., the removal of names of rulers and patrons from historical inscriptions from the medieval Islamic world; and Oya Pancaroğlu focuses on the figural conventions of an illustrated manuscript of Varqa and Gulshah, a medieval Persian romance composed in the masnavi (rhyming couplet) form by the 11th-century poet ‘Ayyuqi. The second section addresses the situation outside Islam: Alicia Walker surveys attitudes toward the production and veneration of religious images in Byzantium from the earliest years of the Christian Roman Empire (early 4th century) to the aftermath of the Iconoclast controversy (late 9th century); Steven Fine explores the history of Jewish engagement with ‘art’ from Roman antiquity through the high middle ages through a detailed exploration of the 3rd-century Dura Europos synagogue and its wall paintings; Michael Shenkar examines evidence for the employment of figural images in the cultic practices of some of the major ancient Iranian cultural and political entities, offering a broad perspective on perceptions of images in ancient Iranian worship; and Robert DeCaroli delves into the question of why no image of the Buddha was made during the first five hundred years of Buddhism. The third section brings the reader back to Islamic lands with five articles examining aspects of the issue in the modern and contemporary periods: Yousuf Saaed investigates South Asian mass-produced images, especially posters that include illustrations of local Sufi shrines, portraits of saints and Shi‘i iconography; James Bennett explores the visual depiction of Javanese shadow puppets (wayang kulit), including the sage Begawan Abiyasa, whose narratives convey key elements of Sufi mystical philosophy; Allen and Mary Roberts consider images of Cheikh Amadu Bamba, the founding Sufi saint of the Senegalese Mouride order; Rose Issa addresses how the term ‘Islamic’ relates to contemporary art, how artists manage to create work in countries in constant turmoil and to what extent such works reflect their conceptual, aesthetic, and socio-political concerns; and finally Shiva Balaghi traces the use of the figure, along its symbolic shadows and silhouettes, in works by notable Iranian artists living in Iran and in diaspora. The Fertile Crescent region—the swath of land comprising a vast portion of today’s Middle East—has long been regarded as pivotal to the rise of civilization. Alongside the story of human development, innovation, and progress, there is a culinary tradition of equal richness and importance. 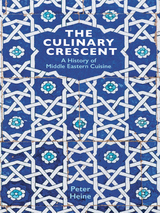 In The Culinary Crescent: A History of Middle Eastern Cuisine, Peter Heine combines years of scholarship with a personal passion: his knowledge of the cookery traditions of the Umayyad, Abbasid, Ottoman, Safavid, and Mughal courts is matched only by his love for the tastes and smells produced by the contemporary cooking of these areas today. In addition to offering a fascinating history, Heine presents more than one hundred recipes—from the modest to the extravagant—with dishes ranging from those created by the “celebrity chefs” of the bygone Mughal era, up to gastronomically complex presentations of modern times. Beautifully produced, designed for both reading and cooking, and lavishly illustrated in color throughout, The Culinary Crescent is sure to provide a delectable window in the history of food in the Middle East. The Qur’an identifies Jesus as a sign of God, and he holds a place as one of the most important prophets in Islam. Looking at Jesus in Islam also reveals both deep differences from and rich connections to the view of Jesus in Christianity. In The Other Prophet, Mouhanad Khorchide and Klaus von Stosch explore and explain the position of the Qur’anic Jesus, with one scholar working from the Muslim and the other from the Christian theological perspective. Their combined research presents a history of Jesus’ presence in the Qur’an and provides astute observations to deepen the understanding of both Christians and Muslims. Here we find that a common view of Jesus from the Muslim and Christian sides is not only possible, but also expands our understanding of Jesus and his message. The story of Christmas—familiar and heart-warming, a story of hope and peace encapsulated by the birth of the infant Jesus—is also a story that unites two faiths often at odds with one another. Luke and Matthew’s accounts of the Nativity in the Bible find their detailed parallels in Surah 19 and Surah 3 of the Qur’an. 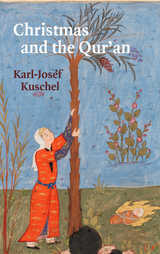 From this starting point, Karl-Josef Kuschel begins to look for Christmas in the Qur’an; a challenge for both Christians and Muslims to engage in a deeper dialogue about the fundamental questions of their faiths. By going back to the word, this detailed analysis of the original texts in both the New Testament and the Qur’an provides a revealing—and timely—new perspective for interreligious dialogue. In the early 1250s, Möngke Khan, grandson and successor of the mighty Mongol emperor, Genghis Khan, sent out his younger brothers Qubilai and Hulegu to consolidate his power. Hulegu was welcomed into Iran while his older brother, Qubilai, continued to erode the power of the Song emperors of southern China. 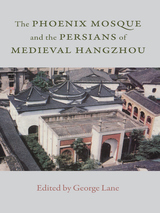 In 1276, he finally forced their submission and peacefully occupied the Song capital, Hangzhou. The city enjoyed a revival as the cultural capital of a united China and was soon filled with traders, adventurers, artists, entrepreneurs, and artisans from throughout the great Mongol Empire—including a prosperous, influential, and seemingly welcome community of Persians. In 1281, one of the Persian settlers, Ala al-Din, built the Phoenix Mosque in the heart of the city where it still stands today. This study of the mosque and the Ju-jing Yuan cemetery, which today is a lake-side public park, casts light on an important and transformative period in Chinese history, and perhaps the most important period in Chinese-Islamic history. The book is published in the Persian Studies Series of the British Institute of Persian Studies (BIPS) edited by Charles Melville. The Early Ottoman Peloponnese: A study in the Light of an Annotated editio princeps of the TT10-1/14662 Ottoman Taxation Cadastre (ca. 1460-1463) is a study drawn from the author's PhD thesis, conducted at Royal Holloway, University of London, under the supervision of the late Professor Julian Chrysostomides. The book is divided into two parts, with part one covering a range of materials through an introduction and three chapters and part two consisting of a diplomatic edition of the transcribed Ottoman text. The introduction offers an orientation to the scope of the book, surveys previous scholarship conducted on the subject, and provides a historical examination of the late Byzantine Peloponnese and its conquest by the Ottomans. Accompanied by topographic and linguistic notes, Liakopoulos presents the historical geography of the Peloponnese, listing all the place-names mentioned in the sequence they appear in the TT10-1/14662 register. This is followed by a set of thirty-eight digital maps of the early Ottoman Peloponnese using GIS (Geographical Information Systems). This is followed by a discussion of the demography of the Peloponnese, including the settlement patterns, the density of population and its categorisation—urban and rural, sedentary and nomadic—concentrating on the influx and settlement of the second largest ethnic group in the peninsula: the Albanians. Liakopoulos explores the administrative and economic structures of the Peloponnese, and provides a detailed presentation their of agricultural production, fully illustrated with tables and charts. Naguib Mahfouz is one of the most important writers in contemporary Arabic literature. Winner of the Nobel Prize in 1988 (the only Arab writer to win the prize thus far), his novels helped bring Arabic literature onto the international stage. Far fewer people know his nonfiction works, however—a gap that this book fills. Bringing together Mahfouz’s early nonfiction writings (most penned during the 1930s) which have not previously been available in English, this volume offers a rare glimpse into the early development of the renowned author. As these pieces show, Mahfouz was deeply interested in literature and philosophy, and his early writings engage with the origins of philosophy, its development and place in the history of thought, as well its meaning writ large. In his literary essays, he discusses a wide range of authors, from Anton Chekov to his own Arab contemporaries like Taha Hussein. He also ventures into a host of important contemporary issues, including science and modernity, the growing movement for women’s rights in the Arab world, and emerging ideologies like socialism—all of which outline the growing challenges to traditional modes of living that we saw all around him. 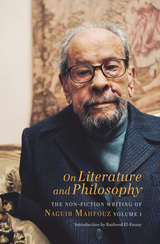 Together, these essays offer a fascinating window not just into the mind of Mahfouz himself but the changing landscape of Egypt during that time, from the development of Islam to the struggles between tradition, modernity, and the influences of the West. When Naguib Mahfouz quit his job as a civil servant in 1971, a Nobel Prize in literature was still off on the horizon, as was his global recognition as the central figure of Arab literature. He was just beginning his post on the editorial staff of the Egyptian newspaper Al-Ahram, and elsewhere in Cairo, Anwar Sadat was just beginning his hugely transformative Egyptian presidency, which would span eleven years and come to be known as the Sadat era. 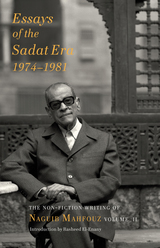 This book offers English-language readers the first glimpse of the Sadat era through Mahfouz’s eyes, a collection of pieces that captures one of Egypt’s most important decades in the prose of one of the Middle East’s most important writers. This volume stitches together a fascinating and vivid account of the dramatic events of Sadat’s era, from his break with the Soviet Union to the Yom Kippur War with Israel and eventual peace accord and up to his assassination by Islamic extremists in 1981. Through this tumultuous history, Mahfouz takes on a diverse array of political topics—including socioeconomic stratification, democracy and dictatorship, and Islam and extremism—which are still of crucial relevance to Egypt today. Clear-eyed and direct, the works illuminate Mahfouz’s personal and political convictions that were more often hidden in his novels, enriching his better-known corpus with social, political, and ideological context. These writings are a rare treasure, a story of a time of tremendous social and political change in the Middle East told by one if its most iconic authors. 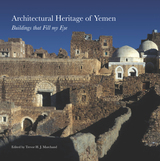 Generations of highly skilled masons, carpenters and craftspeople have deftly employed local materials and indigenous technologies to create urban architectural assemblages, gardens, and rural landscapes that dialogue harmoniously with the natural contours and geological conditions of Yemen. Unfortunately, a sharp escalation in military action and violence in the country since the 1990s has had a devastating impact on the region’s rich cultural heritage. In bringing together the astute observations and reflections of an international and interdisciplinary group of acclaimed scholars, this book aims to raise awareness of Yemen’s long history of cultural creativity and the urgent need for international collaboration to protect it and its people from the destructive forces that have beset the region. The Middle East and North Africa region is well-known for its abundant natural resources and important geostrategic position. This position is often overshadowed by continued sectarian violence and trans-boundary conflicts that threaten the stability of the entire region with serious global implications. This preoccupation with conflict has come at the expense of addressing the region’s other challenges. Although the region’s fragile environmental state has increasingly preoccupied policymakers in individual countries, there is currently insufficient attention paid to coordinating collaborative action to recognise and address problems relating to its environmental sustainability and climatic change. In the absence of a positive agenda for tackling these issues, recurrent environmental setbacks and rapid depletion of the region’s natural resources continue to pose a major threat to the long-term economic, political, and social stability of the region. Despite the urgency of these challenges, there is little research dedicated to studying MENA’s environmental sustainability. Environmental Challenges in the MENA Region: The Long Road from Conflict to Cooperation draws from the proceedings of a seminal international conference on the subject at SOAS in October 2016, which was held as a celebration of the SOAS Centenary. This led to a collective contribution by experts and policy-makers concerned with the state of the MENA region’s environmental predicament with the aim of addressing these problems in a constructive and forward-looking approach. 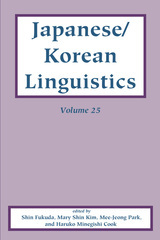 The chapters in this book are predicated upon two critical premises. First, expertise and awareness from a wide range of disciplines is required to understand and address environmental challenges. And, second, to have a real chance of success, MENA countries need to confront these problems as their common threats and to see them as an opportunity for regional cooperation and policy coordination. This book provides the results of an interdisciplinary effort to address the various dimensions of the region’s environmental challenges from across the region and disciplines. Javanmardi is one of those Persian terms that is frequently mentions in discussions of Persian identity, and yet its precise meaning is difficult to comprehend. A number of equivalents have been offered, including chivalry and manliness, and while these terms are not incorrect, javanmardi transcends them. The concept encompasses character traits of generosity, selflessness, hospitality, bravery, courage, honesty, truthfulness and justice--and yet there are occasions when the exact opposite of these is required for one to be a javanmard. At times it would seem that being a javanmard is about knowing and doing the right thing, although this definition, too, falls short of the term's full meaning. 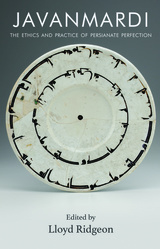 The present collection is the product of a three-year project financed by the British Institute of Persian Studies on the theme of "Javanmardi in the Persianate world." The articles in this volume represent the sheer range, influence, and importance that the concept has had in creating and contributing to Persianate identities over the past one hundred and fifty years. The contributions are intentionally broad in scope. Rather than focus, for example, on medieval Sufi manifestations of javanmardi, both medieval and modern studies were encouraged, as were literary, artistic, archaeological, and sociological studies among others. 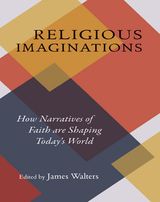 The opening essays examine the concept’s origin in medieval history and legends throughout a geographical background that spans from modern Iran to Turkey, Armenia, and Bosnia, among both Muslim and Christian communities. Subsequent articles explore modern implications of javanmardi within such contexts as sportsmanship, political heroism, gender fluidity, cinematic representations, and the advent of digitalization. Now reaching its 200th anniversary, Johann Wolfgang von Goethe’s sequence of poems, the West-Eastern Divan serves as the inspiration for this new collection poems by twenty-four international poets. Goethe’s original work shows the poet looking east from his homeland of Germany to build a collection of writing inspired by the poetic traditions of Persia. In twelve books, Goethe writes on a variety of great poetic themes, including love, humor, parables, and paradise. Over the years since its original publication in 1819, the Divan has served as inspiration for a variety of literary, theoretical, and musical responses. A New Divan revisits Goethe’s work in a lively celebration of cross-cultural exchange. Works by twelve poets from the East and twelve from the West respond to the themes laid out in Goethe’s Divan and build bridges between cultures, nationalities, and languages. The poets have been paired to write in response to each of the twelve books of the Divan, and here present their multi-lingual works in eleven different language, each with a poetic interpretation written in English. Three pairs of essays complement and shed further light on the series of poetic exchanges. These writings mirror the original notes that Goethe included in his West-Eastern Divan. Reaching through time, language, and poetic history, A New Divan offers a lyrical conversation and opens paths of connection across cultures. In 1814, Johann Wolfgang von Goethe read the poems of the great fourteenth-century Persian poet Hafiz in a newly published translation by Joseph von Hammer-Purgstall. For Goethe, the book was a revelation. He felt a deep connection with Hafiz and Persian poetic traditions, and was immediately inspired to create his own West-Eastern Divan as a lyrical conversation between the poetry and history of his native Germany and that of Persia. The resulting collection engages with the idea of the other and unearths lyrical connections between cultures. 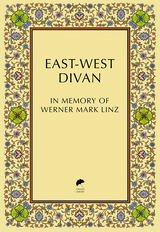 The West-Eastern Divan is one of the world’s great works of literature, an inspired masterpiece, and a poetic linking of European and Persian traditions. This new bilingual edition expertly presents the wit, intelligence, humor, and technical mastery of the poetry in Goethe’s Divan. In order to preserve the work’s original power, Eric Ormsby has created this translation in clear contemporary prose rather than in rhymed verse, which tends to obscure the works sharpness. This edition is also accompanied by explanatory notes of the verse in German and in English and a translation of Goethe’s own commentary, the “Notes and Essays for a Better Understanding of the West-Eastern Divan.” This edition not only bring this classic collection to English-language readers, but also, at a time of renewed Western unease about the other, to open up the rich cultural world of Islam.